Hearthstone fans have been introduced to another brand-new Legendary card coming in the next expansion, Rise of Shadows. 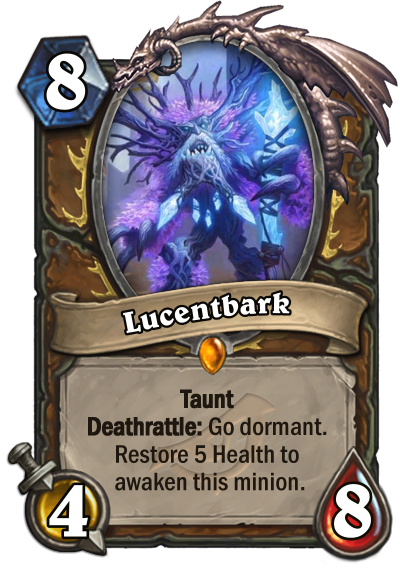 Lucentbark is an eight-mana Druid Legendary minion with four Attack and eight Health. It has Taunt and a Deathrattle that makes it go dormant. But you can awaken Lucentbark by restoring five Health. Other Druid cards that have been revealed from Rise of Shadows so far also deal with restoring Health. Lifeweaver, for example, is a three-mana Druid minion that allows you to add a random Druid spell to your hand whenever you restore Health. Lucentbark obviously has a high mana cost, but its Taunt and Health could make this minion difficult to deal with if you manage to summon it in the late game. 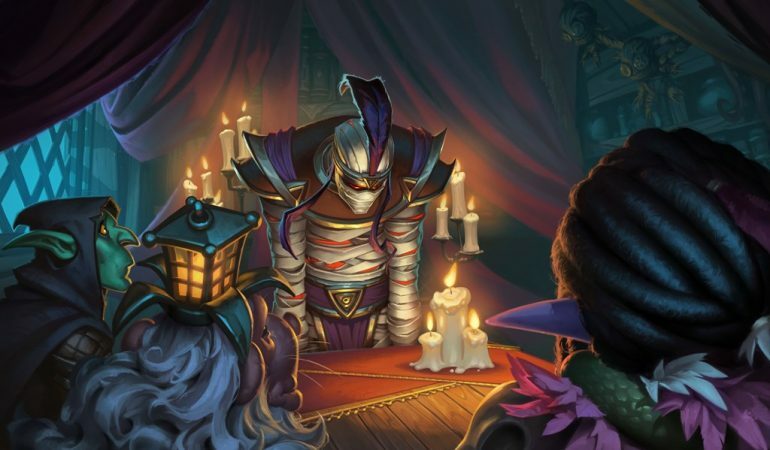 Hearthstone fans are anxious to try out all of the new cards coming to the game when Rise of Shadows is released on April 9.